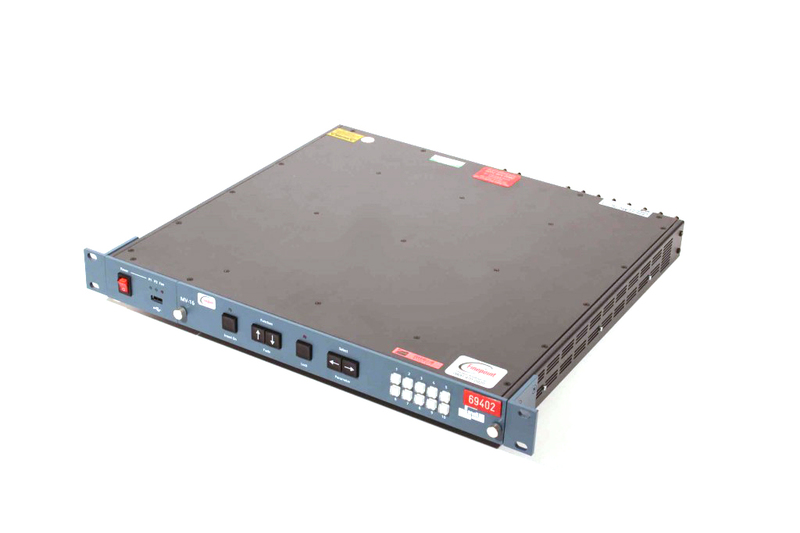 1U frame multiviewer with up to 16 HD/SD-SDI or analogue inputs, also with 2 DVI inputs and DVI output. Built in browser software for configuring UMD text and display patterns via PC. Pre-configured with 10 common layouts selectable on front panel. Audio and LTC/VITC/clock display options also available.